Whether you’re a beginner or an expert, the technical aspect of SEO can be difficult to tackle strategically—there are so many issues that could impact your website’s chances of attaining top ranking positions. This post will walk you through how to prioritize your technical SEO checklist by starting with the issues that make the biggest impact on how you show up in search results. What issues have the biggest effect on your ranking? A straight-forward approach to understanding which issues will make the biggest impact on how you rank is to understand the goals of technical SEO. When doing an audit for technical SEO issues, you can think of each item you identify with your crawler as associated with one or more of the above goals. Remember, before a search engine can give you points for user experience, it must be able to interpret the meaning of your content, and before it can interpret your content, it must be able to crawl and index your content. 1. Can search engines find your content? Before anything else, search engine needs to be able to find your content. Making sure that search engines can crawl and index your website content is the first step toward ranking in search results. A sitemap (an XML file containing a list of URLs on your site) will help search engines understand the structure of your website, and which pages should take priority for being crawled. Robots.txt is the first thing a search engine will crawl when it hits your site and provides instruction to search engines on what not to crawl on the site. Both the sitemap and robots.txt help you preserve your crawl budget for your highest priority pages. Whether a tag was applied accidentally, or you were unaware of the fact that content in frames show up as an empty page to search engines, web teams can prevent search engines from crawling and indexing their content if they’re not careful. Search engines crawl content across the web using links. While you can manually submit your content to search engines like Google, having links pointing to your web pages means they’ll be crawled more regularly because search engines will have easier access to the content. Redirect chains create an extra hurdle for search engines to reach your pages via links. To create the shortest path to your content for search engines, replace hyperlinks so that each internal link on your website is linked directly to the content intended – don’t leave it up to the 301 redirect. 2. Can search engines understand your content? Once your content is crawled and indexed, the next step toward search engine ranking is to make sure that search engines can interpret your content so they can better associate it with relevant keyword searches. On-page markup includes adding tags to your content to help search engines easily interpret the meaning behind your content. Schema.org was co-founded by Google, Microsoft, Yahoo and Yandex to standardize web page markup. Add schema to further enable search engines to understand your content and present your content in rich snippets within search engine results and when people link to your content in social media. 3. Are you providing a good user experience? Along with mobile usability, site speed is arguably the most significant user experience factor that search engines prioritize when deciding which pages to rank in search results. 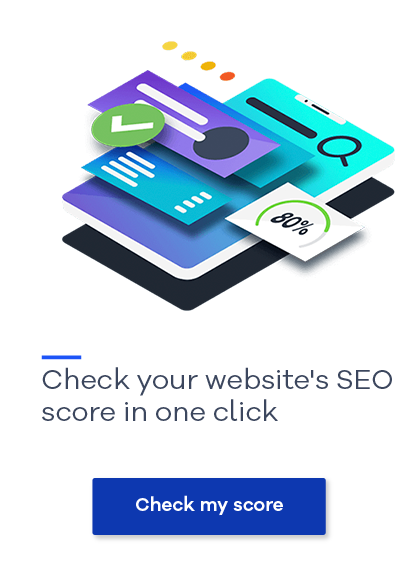 It’s beneficial to measure load speed directly across both mobile and desktop, for the entire site or for a single page. But, it’s also ideal to look for the cause of the loading issues (such as content size in MB) or identify where solutions (like GZIP Compression or AMP) have not been implemented. Mobile usability is becoming increasingly important to search engines as more users are taking to mobile to search for and consume content online. In fact, Google has proactively provided resources for optimizing your mobile experience, most notably, the Mobile-Friendly Test. Status code errors take place when a page cannot be found either from a link being clicked on or from a URL being entered. This creates a bad user experience if a user clicks the link only to find that their request could not be processed. There are two types of status code errors that impact user experience and search engine rankings: 404 errors stemming from broken links, and 5XX errors which are server-related stemming from an internal error or server overload. Using the criteria mentioned above, you can create an SEO checklist that will help your website’s rank rise to the top, once and for all.